Yes, we are living in a world with many incredible technological advances in the form of handheld gadgets. Our smartphones give us the ability to communicate with people all over the world using various messaging apps and social media platforms. But one thing has remained the same after all these years. With the exception of the face-to-face conversation, nothing beats the good old phone call! Live voices make a difference. As a business owner, it’s important for you to know that hearing a live voice is a very important thing for your customers. It gives personality to your business in a way the written text cannot. 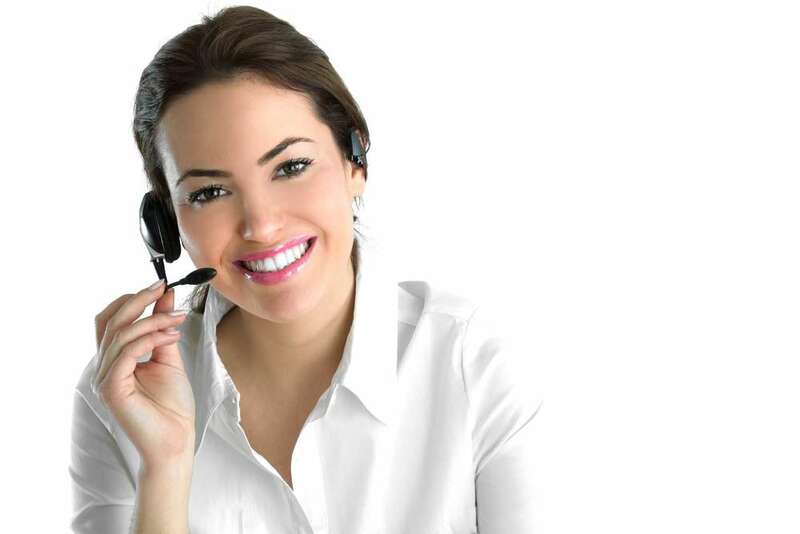 Furthermore, phone calls enable customers to get immediate answers to questions. And in today’s world where people expect immediacy, the phone call can’t be beat in the customer service game. “You can greet a customer by name when they call in – their order history is in front of you,” points out Pioneer Business Systems PR executive, Hayley Stovold in Miller’s article. This simple act of familiarity and politeness is often enough to keep a customer coming back to your store. Let us do the calling for you! At TK Enterprises Inc., we’re fully aware that the vast majority of jewelry store owners across North America are far too busy with their daily tasks to call all of their customers each day. That’s where we come in! We have over 30 years of experience in the sales field and a wealth of experience in understanding customer behavior. Our call center is a lively and energetic atmosphere filled with knowledgeable and friendly phone agents who are adept at driving sales. And we can get them calling your customers for you! Our one-of-a-kind Event Marketing services are designed to have our team contact your existing customers to invite them to your businesses events, teach them about your promotions or follow up on recent sales. Our history has proven that making phone calls is a highly-effective way to deliver the messages of our clients as our callers either speak directly with customers or leave enthusiastic voicemails. Time and time again, the end result is higher in-store traffic and increased sales for our clients. Sean O’Neill of Ireland’s ThinkBusiness acknowledges that other modern-day forms of communication can be great at relaying messages. However, he admits that they can make it harder to get clear points across. Why choose TK Enterprises Inc.? In the past four years, we’ve made well over a million calls for jewelry stores continent-wide. We have a proven calling system and an outstanding track record that provides our clients with the transparency and peace of mind that 100 percent of our calls will be completed with passion and enthusiasm. How Beneficial Would It Be To Host An In-Store Event This Spring? Welcome to spring everyone! It’s certainly a beautiful time of year. Even though your neck of the woods may still be experiencing frigid temperatures, they won’t last too much longer. The spring is a great time of year for the majority of jewelry retailers because the warmer weather encourages more people to come out of their homes. In addition, that warmer weather also inspires the wearing of more jewelry. After all, without the heavy coats and scarfs, jewelry can more easily be seen! 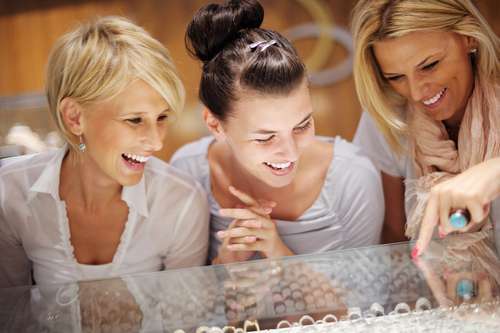 As a result, the beginning of spring makes an ideal time for your jewelry store to host an in-store event. Inviting your customers back into your store so that they can be the first to check out your latest items is a great way to not just boost sales but grow your customer relationships. These days, consumers place a lot of emphasis on how businesses make them feel. What could be better than offering exclusive invites to customers to show them how special they are to you? Hosting an in-store event will raise brand awareness. It goes without saying that you don’t own the only jewelry store in town. So what separates you from your competitors? As we’ve pointed out, acknowledging your customers by reaching out to them directly will help to give them feelings of importance. Never be afraid to declare your appreciation for your customers’ support. Doing so will get the word spread about your brand in a very positive way. An in-store event will boost your sales. At the end of the day, isn’t that what every business owner wants? It will be near impossible to not significantly increase sales when you host an in-store event. Remember that the main objective of any social gathering is for people to have a good time. Ensure that your guests are enjoying themselves and you won’t have to put a ton of effort into pushing sales. They will come a lot easier! TK Enterprises Inc. has many years of experience making personal phone calls directly to jewelry store customers to invite them to upcoming in-store events. Get us working for you! For more information about our Event Marketing services, please don’t hesitate to call us toll-free at 1-877-622-0195. You may also email us at heidi.tke@tomkaufmann.com or fill out the form on our Contact Us page and have someone contact you! A couple of weeks ago, we blogged about the fact that wedding season was on the way. With spring officially set to begin in less than a week and summer right around the corner, you can bet that a large number of couples are getting set to tie the knot. And, as we pointed out two weeks ago, brides and their bridesmaids are certainly in the market for hot new jewelry. Of course, it’s important to note that brides-to-be and their best friends aren’t the only ones who will be jewelry shopping this spring. 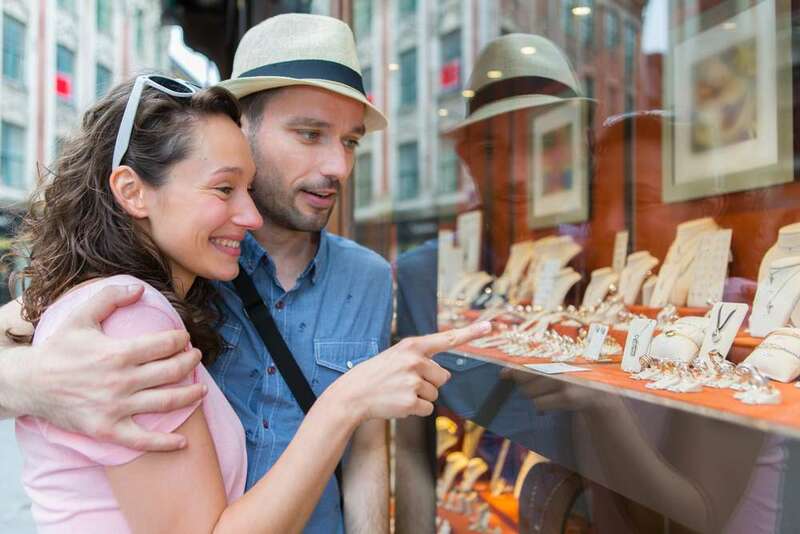 With the season about to change over, it would be wise for your business to highlight the fact that it’s a go-to destination for all of one’s jewelry needs. So how can you spring into action to boost your jewelry sales? Wear your jewelry around town. Is there any better way to advertise how great your jewelry looks than to wear it yourself? Needless to say, your chosen accessories will make for great conversation starters. Naturally, those conversations will become advertisements for your products. With warmer weather on the way, you’re given the perfect opportunity to shed the heavy winter coats and reveal the beautiful necklaces, pendants and bracelets that are usually hidden beneath. Create an eye-catching front window. With warmer weather come more customers. It stands to reason since people spend a lot less time indoors when it’s nice outside. Consider the fact that your storefront is about to enjoy a lot more foot traffic. Making sure your storefront is adorned with an attractive window display will help to lure more customers through the door. Alicia Arnold of Facets Fine Jewelry ensures that her storefront is uniquely designed to attract eyes each spring. If there’s one thing people like better than warm and sunny weather, it’s saving money. Combine the two by offering special discount codes and coupons as part of your store’s way of celebrating the new spring season. As Ceri Jewelry points out, such promotions work best during special events and holidays. Forthcoming celebrations such as Easter and Mother’s Day are perfect examples. Call your customers in for a visit. The beauty of the one-of-a-kind Event Marketing services offered by TK Enterprises Inc. is that it does all of the calling for you! Learn all about it by calling us toll-free at 1-877-622-0195. You may also email us at heidi.tke@tomkaufmann.com or fill out the form on our Contact Us page and have someone contact you! How Important Is It To Talk To Your Customers? It is often said that communication is the most important element of any strong relationship. As a jewelry business owner, it’s vitally important that you remember that each and every new individual who visits your store isn’t simply a potential customer – he/she is a new relationship waiting to happen. How do you spark that new relationship? By communicating, of course! It cannot be stressed enough that talking to your customers is integral to your store’s success. Talking to your customers will help you to serve them better. All too often, business owners see themselves as experts in their fields (no problem with that, at all) and forget that they can always learn more (that’s the problem). Because you can never stop learning, it’s wise to attain as much information about the members of your customer base as possible. And getting that information straight from the proverbial horses’ mouths is the best way to learn how to continually satisfy the needs of your customers. Getting to know your customers will diminish their hesitancy to spend money. Developing relationships with the people who support your brand will go long way in generating revenue for your business. Although it’s important to express genuine kindness, your main objective is to form bonds that translate into repeat business. Simply stated, the more people trust you, the more likely they will be to spend money in your direction. As Peep Laja puts it on Kissmetrics.com, talking to your customers will lessen customer hesitations. Get us to do the talking for you! At TK Enterprises Inc., we believe that we’ve mastered the concept of strengthening customer relationships via the good old telephone conversation. 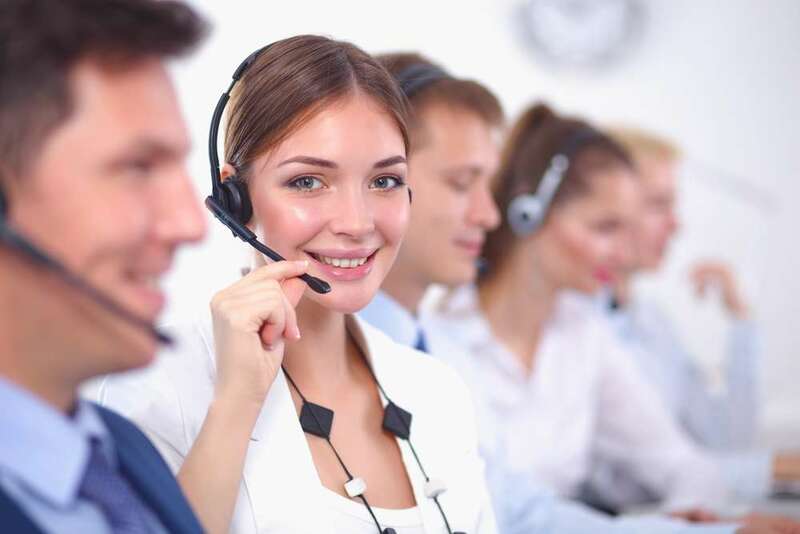 Our talented team of phone agents has many years of experience under its collective belt, calling customers on behalf of jewelry store owners to invite them to upcoming events, introduce them to new promotions or follow up on recent sales. We’re elated to tell you that our Event Marketing services have worked wonders in growing relationships and inevitably sales numbers, as a result. For more information, please don’t hesitate to call us toll-free at 1-877-622-0195. You may also email us at heidi.tke@tomkaufmann.com or fill out the form on our Contact Us page and have someone contact you!